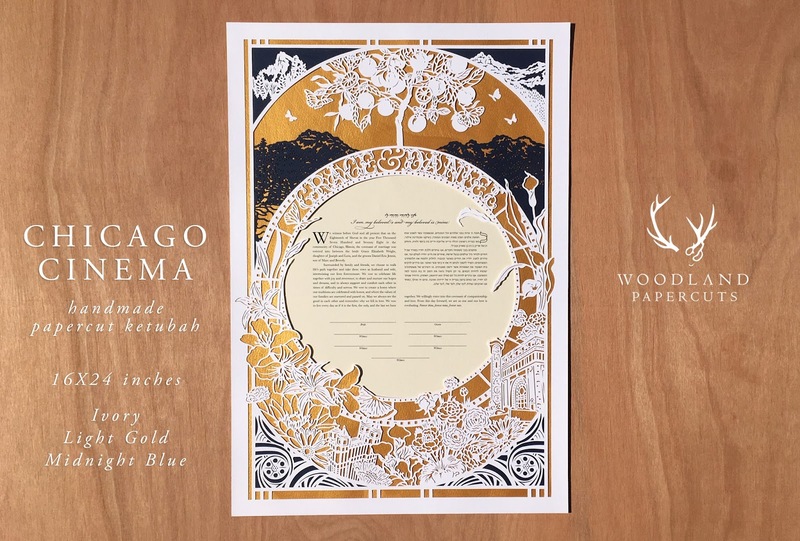 Grace & Dan wanted a poster size ketubah that celebrated their love story - from Chicago where they met, live, and getting married, through the mountains they passed on their road trips, to the night Dan proposed, they wanted the design to encapsulate meaningful moments in their relationship. Now I don't make a lot of designs with man-made structures - they specifically wanted landmark buildings of their city - but Chicago does have a great art deco and gothic architecture that tickles the imagination. And once they suggested I incorporate their love of movies in the design (they're huge movie buffs), my mind was filled with early-century movie posters and well, all bets were off! Because truly, if you want to motivate me you just have to whisper Art Nouveau and Art Deco and the design geek in me is all in. 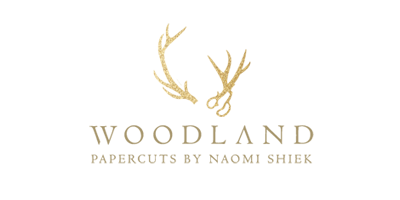 To those who are wondering, I used their wedding flowers in the design, and the tree and butterflies are a reference to the the movie The Illusionist which they saw the night Dan proposed (they were engaged at the movie theater!). 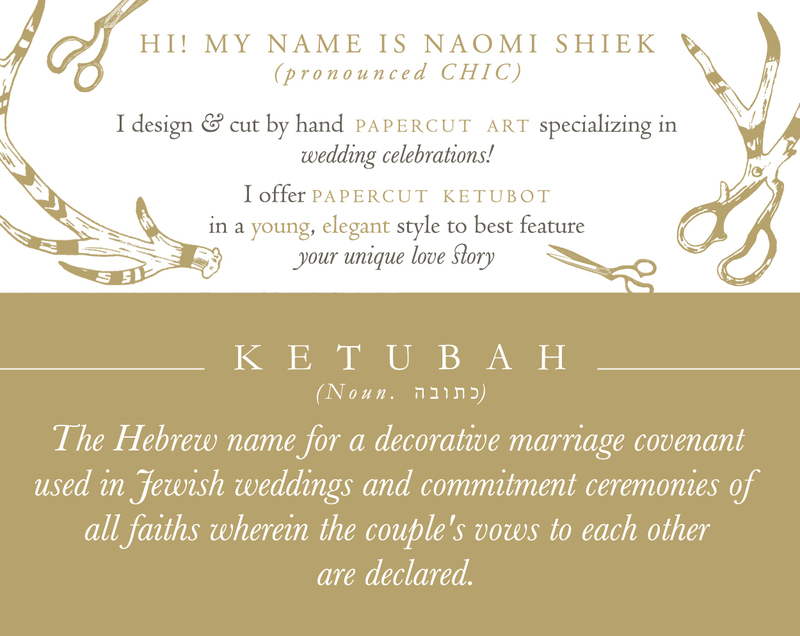 We are BLOWN AWAY - the ketubah is SO completely stunning, everything we ever dreamed it would be and beyond! !